The Beyreuth Festival in northern Bavaria is a mecca for opera lovers and a pilgrimage destination for fans of Richard Wagner, who himself conceived the idea for a special festival to showcase his own works. 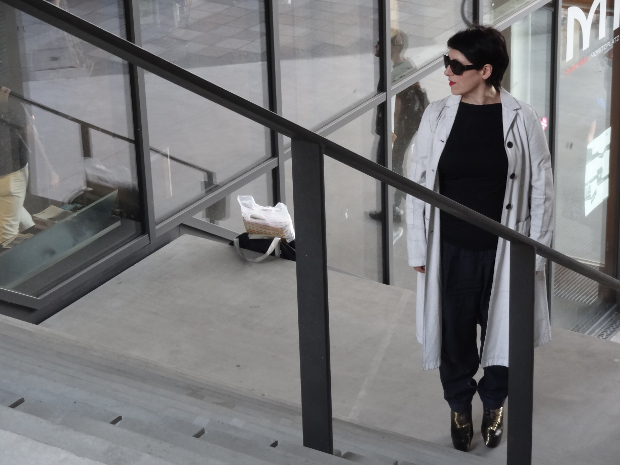 So when in 2011 the experimental Opera singer Lore Lixenberg stood outside the Beyreuth Festspielhaus to give a rendition of John Cage’s ‘Aria with Fontana Mix’ to a crowd of opera purists, it was something of a bold move. Lixenberg, originally from Brighton but who has lived in Stoke Newington since the mid-1990s, is a risk taker and iconoclast, operating in arguably the most change-resistant artistic form there is. Lixenberg leads a cosmopolitan life. With her boyfriend she has just opened a gallery space in Berlin, and when we meet she tells me about a new project that involves streaming performances live from Berlin to Stoke Newington, and vice versa. “I’m really interested in combining opera with things like physical theatre and visual arts – that’s why I like John Cage because he started that all off,” she says. Opera may forever be be considered traditional, but this doesn’t bother Lixenberg. In one of her pieces, ‘Bird’, she undergoes a metamorphosis, speaking before making vocalisations, which finally evolve into full blown bird song. Another recent project is about an opera singer who finds herself at the end of the world, gathering all the bits of opera she can to save them from oblivion. Lixenberg blurs the boundary between composition and performance, but there is no mistaking her operatic voice. She describes her voice as “a bit of a synthesiser”, and gives me a quick blast – leaving me momentarily startled. ‘Startled’ also describes the audience who heard her that time in Beyreuth, though they were soon won over by her chutzpah and originality. Props such as a roll of sellotape, a toothbrush and even a packet of crisps were all part of the performance. At one point she even cries theatrically on the shoulder of an audience member. Is this how John Cage would have wanted it? Almost definitely, though what Wagner would have made of it is anyone’s guess.